I’m back! What an amazing trip. 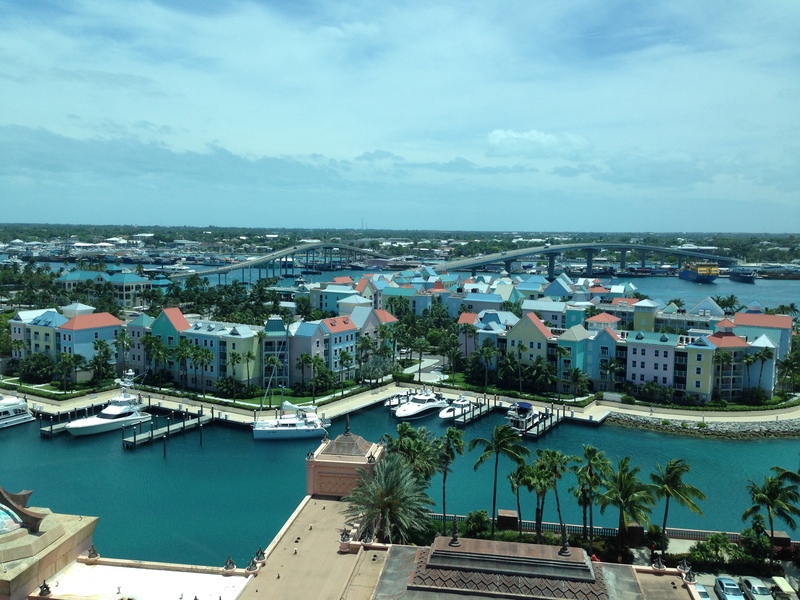 We went to the Bahamas, where the water is my favorite shade of teal. I wrote about balance before I left, and the best part about vacation was that there was no balancing necessary. 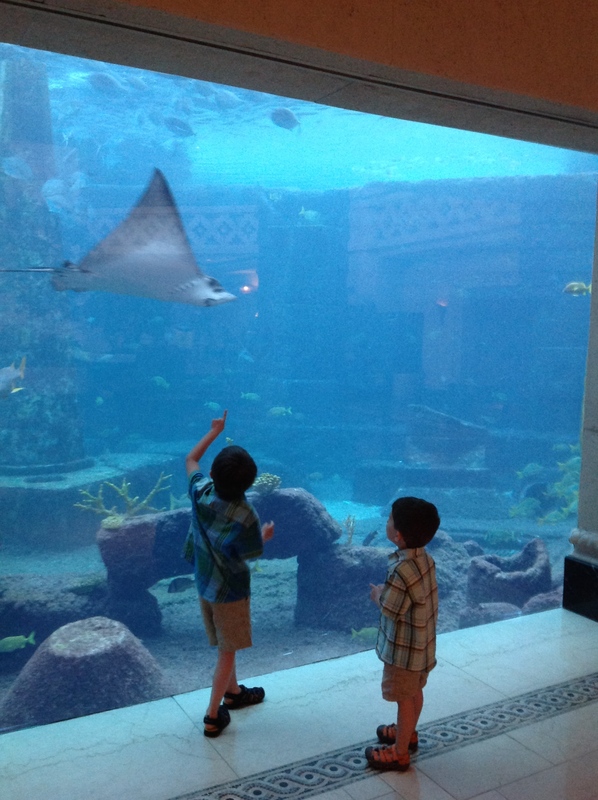 It was all about family– no cell phones or computers in sight. It was just the refreshing break that I needed. And we all had so much fun. 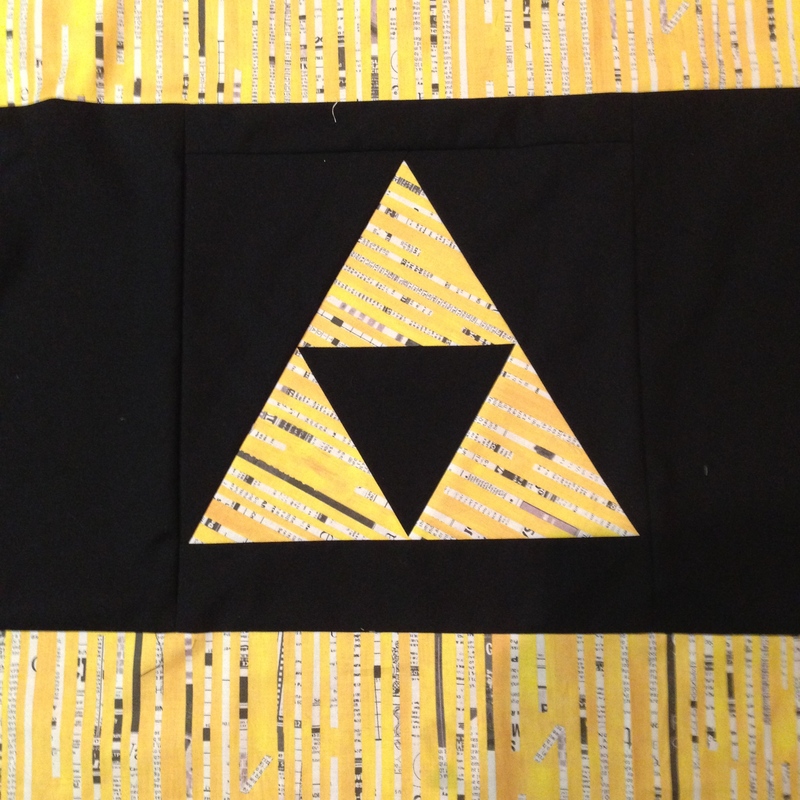 Speaking of backs (ugh, the blogging segues are a little rough), my husband made a request for the back of his: a Triforce from the Legend of Zelda. It was a great chance to learn how to piece 60 degree triangles cut with my new Hex ‘n’ more ruler. And here it is, the finished top. I finished it at night over the long weekend, and it’s almost 72 inches square, so I couldn’t fit it all in the shot. 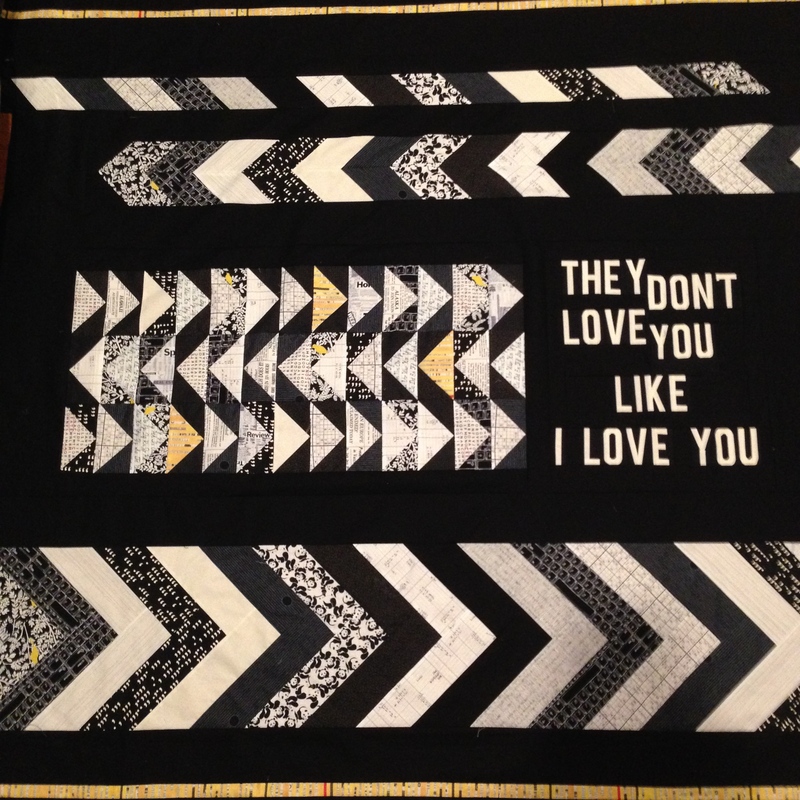 But rest assured, I will take many of the finished quilt on the fence. It’s time to keep on making. My bee blocks are back (well, most of them) and I have a new nephew due in just a few weeks, so there is much more to sew and share. There’s nothing like a whole eyeful of Caribbean blue to make you relax, take a deep breath and just enjoy. Welcome back. Glad you had a wonderful trip! I am in TOTAL AWE of that water and your quilt top. Can’t wait to see more! Thanks Jess! I owe you an email about guild stuff– how is it going? We’re trying out some new stuff this summer, so we’ll have to compare notes soon. Welcome back!!! You already know how much I love that quilt. I have recently bought a ‘hex n more’. I’ve only tried it with hexies at the moment but it’s good to see others using it different ways.